I went to a funeral today. I didn’t know the man who died, but I’ve known his daughter for years. She is a gift to the town I call home, a sure and steady force for common sense and community service. Today was a chance to offer her my condolences, and to offer a prayer of thanks for the life of her father. After the church and graveside prayers have all been said, family and friends stay together for one last holy act: sharing a meal. There are stories and memories best told over a loaded plate and a full cup, heard most gratefully over the scrape of forks and clinking of glasses. This meal that honors a life and its loss isn’t just a nice extra. It is the first act of a family who will gather together and continue to grow, not with but because of the one who is no longer present. I’m a stranger to the family, so I did not share their meal and stories today. But sometime soon, I’ll chop onions and carrots for soup and make a loaf of bread. I’ll pick up a bottle of wine. I’ll offer these small things to a daughter who buried her father, and I’ll tell her that I am thankful for the man who brought her into this world – a delight to God and a gift to this world. Could I say such words without the food? Perhaps. But they seem easier to say and easier to hear over a plate and a glass than on their own. As far as I know, I was the only bartender who went to Princeton Seminary in the ’90’s. Either no one else had tended bar, or no one else would admit to it. It’s too bad, in either case: my time behind the bar gave me admission to the inner and outer lives of so many people. I have no idea how many secrets they told me – fears, hopes, embarrassments, family troubles, and a handful of come-to-Jesus stories. All these treasures given to me in exchange for a Beefeater, a Bud, a Cabernet, and a tip. Grandpa Pete drank himself to death, so my parents didn’t have alcohol in the house much – just a glass of wine on Thanksgiving, a New Year’s toast, and a six pack when relatives came over to paint, paper, or repair. My husband and I enjoy wine and beer at home and the occasional mixed drink in a restaurant, but we aren’t exactly heavy hitters. We’ve both seen too many lives ruined by excessive drinking to tip the bottle too often. In moderation, alcohol loosens tongues, encourages self-disclosure, and is a sure sign of hospitality; in excess, alcohol is an excuse for verbal abuse, physical intimidation, and violence – the power of fermentation. I enjoy having a glass of wine while I make dinner. I treasure the times my husband and I lingered at the table after dinner, splitting the last glass of rioja by candlelight. Wine in hand, I delve deeper into the grace of the moment, and I’m more aware of the wonders of food and companionship. It’s not a necessity, but it’s surely a nicety. There’s truth in wine (In vino, veritas). Jesus shared wine with his closest friends and his betrayer, and the coming of the Holy Spirit looked to all the world like a bunch of early morning drunks. It’s a marvelous thing to let loose and see the world through more appreciative eyes. It’s a terrible thing to drink away reality and excuse cruelty with a bottle. Hidden compassion and undercover violence are both given out with that drink. Which one do I choose? Lord, keep watch over me. Amen. I don’t watch Master Chef any more. It’s not that I don’t love a good cooking competition. It isn’t the quality of the cooking, the expertise of the chefs, or the contestants. I just got sick of the yelling, the swearing, the demeaning comments, and the this-isn’t-me-chef-I-can-do-much-better groveling. Not just one of the judges, but all of them reacted to failed dishes as if the cook created the fiasco just to insult their palates. Tears, shame, anger. All over a culinary attempt gone awry. The meanness of it all killed the entertainment value of it for me. I’ve worked in many restaurants over the years, and worked with many chefs and cooks. Swearing doesn’t bother me, and I don’t find the off-color humor insulting – it’s just the culinary environment (and I’ve got quite a colorful vocabulary myself). But there’s a difference between this kind of back and forth among the staff and what goes on in front of the camera: the one is hospitable, the other destructive. Both end in fantastic food on a plate, but one nourishes the soul while the other shreds it. 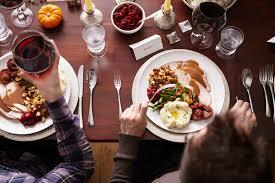 Eating and drinking are necessary, life-sustaining daily acts. Preparing a special meal or enjoying one at a favorite restaurant is meant to be a gift of nourishment and hospitality. Nowhere do I see this truth in the judges and their treatment of the home chefs. Perhaps it’s really there, just edited out to increase the drama and ratings. Perhaps honest advice and criticism without an insult wouldn’t get good ratings. Perhaps it’s all just part of the media game. Perhaps, perhaps, perhaps. But something’s gotten lost. In many cultures, hospitality toward family, friends, and strangers is a sacred practice. In scripture, being hospitable to anyone who sits at the table was considered a faithful act. Who knew what angels we might entertain, disguises as strangers? Angels or not, I don’t want my zeal for producing a delicious meal to turn a life-sustaining activity into the soul’s punishment. Gracious God, make my heart hospitable and my table the same. Amen. Burnt peanut butter cookies. Butter drenched English muffins. Cinnamon sugar toast. Each of these has a distinct aroma, and each one evokes a very specific memory from my childhood. The cookies: me at five, pressing a sugared fork on dough, baking with my mother. English muffins: me at four and six, having mid-morning snack in my grandmother’s warm kitchen. Cinnamon toast: having breakfast with my sister and brother before walking to my first grade classroom. I’m not the only one who has such aromatic memories. 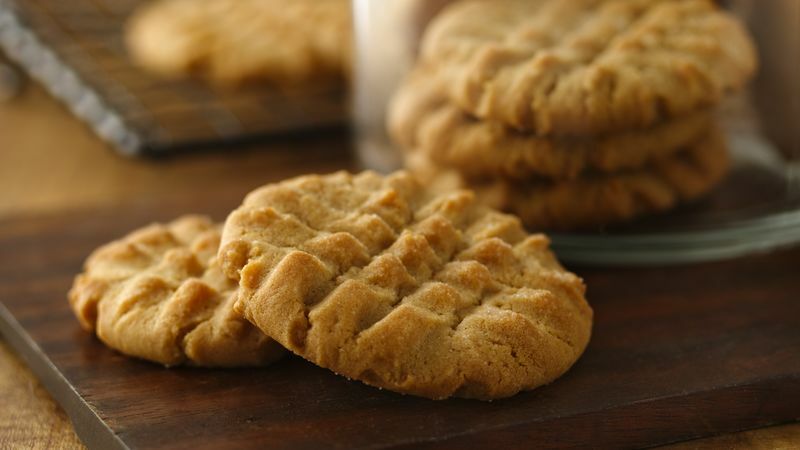 When I made peanut butter cookies in the church kitchen one morning, slightly burning the bottoms, several people stopped by, drawn by the scent in the air and their own memories – a taste of childhood long since left behind and a recollection of someone who loved them, long since passed on. There’s a grace that’s hard to explain in the gift of food and the loving hospitality of another. I feel it every time cinnamon hits a buttered toast and every time I take a loaf of bread out of the oven. It’s life-sustaining, being food and all, but it’s also soul-sustaining, being so wrapped up in the loving care given to me and the loving care I offer others along with the plates and glasses. Is that why Jesus invited himself over for dinner at the houses of those who most needed someone to accept their love and hospitality? Is it why he sat at table with his beloved disciples before his crucifixion? Was breakfast by the sea more than fresh fish with friends?Could it be that Jesus wants me to catch the scent of holiness whenever I offer and accept food? Perhaps the kingdom of heaven is the kitchen – it would explain why everyone always gathers there, regardless of the home or host. 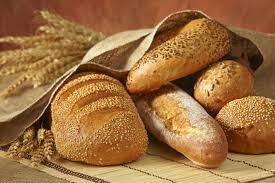 Dear Lord, be present to me this day in the breaking of bread, the warmth of the oven, and the scent of soup simmering. Amen. One of my favorite scenes depicted in the gospels is Jesus making breakfast for some of the disciples—I can just imagine he enjoyed making the meal more than anyone enjoyed eating it. And that is why I cook. I’m not much of a chef, but I learned to be a pretty good cook when my wife was laid up for a few weeks. She’s fine now—some 10 years later—but I’m still in the kitchen much to her delight. I like the feedback. A lot of the work I’ve done over the years has had a long fuse so I don’t get much of a bang out of it—I’ve generally left the premises after planting the seeds of leadership and coaching skills, leaving the follow-up to others. Ah, but cooking! We get to taste the results generally in a few hours and they are usually not too shabby. It’s just a joy to explore new recipes and develop new tastes. And it’s a delight to share these findings with others—also a challenge, as we have vegans, lactose intolerants, gluten-free requirements, meat-lovers, and spicy vs. non-spicy situations to deal with. It makes things interesting (During the early phase of my new-found love, I was married to the recipes. Now that I have more confidence, I do more creative cooking with mixed results, but usually pretty good.). Isn’t it interesting how, no matter our age, we can pick up some new skill and continue learning things. We all know people who have done (and are doing) this. I think I’m going brush up my poetry writing skills next. I hope I can find some of my old writings but if not we’ll just stop “fixin’ to get ready” and start writing some stuff—what a hoot! Offered by Bill Albritton, cook, poet, child of God.